As the Tree House enters a new era, I want personally to thank lots of people who have made it possible for us to survive as long as we did as a non-profit venture. It is three years since we opened our doors for the first time, and it’s some achievement to have provided the kind of place we have for that long in a difficult time for small high street businesses, and that’s thanks to a lot of people. I hope I don’t forget anyone! Thank you to a fabulous team of volunteers. Tom the Philosopher and Pauline have both been part of the Tree House from the start – both discovered us when I had a stall at Kenilworth market, before we opened, and are still very much at the heart of things. Tom has sorted and shelved books on a weekly basis, Pauline set up Nifty Needles (still going strong) and used to help out on Saturdays before a hugely busy life and growing army of grandchildren took over. Angela came to our opening night jazz concert – her son Ben helped me to set it all up in the first place – and has also been part of the team ever since, invaluable on so many levels. Vicki joined soon after, as a member of Nifty Needles initially, and then as a fantastic volunteer at the shop, and also organising the monthly craft fairs. In the new shop, Geraldine, Janet and Ginny have been helping out on a weekly basis, supportive in all sorts of ways including giving hours to work in the shop. Paul has been amazing – always willing to lend a hand, providing bookcases and furniture, including the chairs we use for our events, and helping in too many ways to mention – a true stalwart. He and Andy – another constant source of help – moved all our books when we had to close, and Paul stored them in his warehouse. John has been a star, doing various DIY jobs, providing lovely touches to decorate the place, and helping out sometimes to give me a couple of hours off. Kim has helped sort out and keep the children’s section tidy and well stocked. Andrew has put bookcases together. Thank you so much to all of them – I am missing having this team around me! Not that they have gone anywhere, of course. 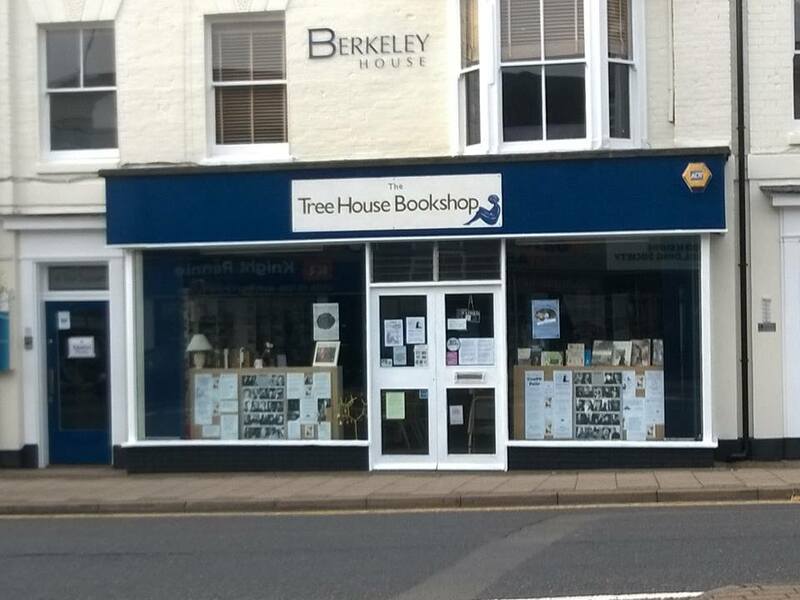 Thank you to Lewis and Charlotte, who came to see me saying they would like to set up a regular open mic event, the Tree House Sessions, to support the bookshop. It was a success from the start, and is still going strong, pretty much fortnightly, and has brought amazing people to the bookshop (including Lewis and Charlotte themselves!). We have such a great night, never knowing quite what to expect, but always so supportive, congenial, fun. Next one is on 30 July, come and see for yourself – audience members always very welcome! Karen came on board early on to help me with the business side of things (a thankless task!) and was a rock, and then and since has given very generously of her time and energies. Emma painted our fascia sign, which we brought with us from the old shop and still hangs over the door. Thank you to amazing musicians who have graced the bookshop, and often helped out financially by generously working with our financial limitations. The fabulous Ange Hardy donated a free gig to help us when we re-opened in the new venue, having already given us a generous deal on her gig at the old venue. Daria Kulesh, Sarah McQuaid, Steve Kershaw (with Leonid and Nick Vintskevich) all compromised on fees when we needed that – I don’t take such generosity lightly. Daria even worked in the bookshop for a couple of hours to allow me to escape! Romany Pie have given two free gigs, Andrew Sharpe and his colleagues – Amy Kakoura, Harriet Guy, Lana MacIver, the Somerville Gents – have played for much less than they deserve. Jez Hellard gave an amazing gig for next to nothing. Thank you to all the musicians who have played, in both venues, it’s been an honour. It was when we recently had to cancel our first music gig, the wonderful and incredibly supportive Red Shoes, that I realised things really were starting to get a bit too difficult. Many I can’t thank by name, but you know who you are – all those who have contributed financially, right from the start, via crowdfunding, donations, patron scheme – faithful supporters who I hope will see that although the ethos of the bookshop has changed, it will continue and all because of the support you have given that has got us this far. My family have provided vital support when things got tough financially! I have rarely been paid out of the bookshop takings, and making ends meet has been a challenge, but family and friends have been extremely generous. And of course to those who have donated books through the three years – our bread and butter. 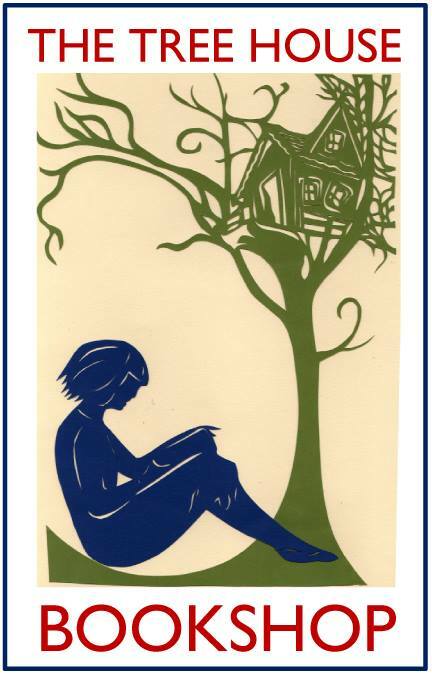 I hoped to get to the point where I could buy books and improve the stock we had, in terms of trying to make sure we had all sorts of things that people asked for, rather than only relying on what we were given, but in fact that’s partly what made the old Tree House what it was. Hit and miss – or eclectic! – never knowing what you’d find in the bags and boxes people delivered to us, loving it when unexpected treasures (not financial ones, but things we loved to sell!) were discovered. To the cake providers too – especially Tamsin, who has not yet had a mention, but regularly brought us the most amazing homemade cakes and biscuits. Her custard creams are to die for. Blessed are the cakemakers. Tamsin has also been a supporter from the market stall days, and made origami roses and all sorts of lovely things. Thank you to our current landlords at Berkeley House, who took a risk on us and have been more supportive than any commercial landlords I could imagine. They are genuinely great people. Thank you to Warren Ellis, mighty musician, who responded with enthusiasm when I tentatively asked if he might consider being our patron. So it’s been a huge team effort, and I’m sure I’ve forgotten people…I will add you in if I have! Thank you to everyone. We are carrying on, with a new owner for the bookshop – the wonderful Astley Book Farm – so we are in much more secure hands as a business, and we will still be able to host events in the evenings to keep building community around the cultural treats we have to offer. I am working on a new programme of events, taking a couple of weeks off as it’s been all-consuming and stressful for a long time and I’ve been quite tired! But from August we will have things back up and running again in the evenings. The newly-revamped bookshop will be amazing – it will take a few weeks to get it sorted (you’ll notice some changes already), but is going to be a huge asset to Kenilworth. A huge (inadequate) thank you to Viv at Astley Book Farm for coming to our rescue at a critical time. Viv has long been a supporter – she came across the day we opened in the old shop with a bottle of champagne, amazing! And I hope the evening events will continue to be an asset too. Thanks so much, everyone – hope to see you at the bookshop very soon!